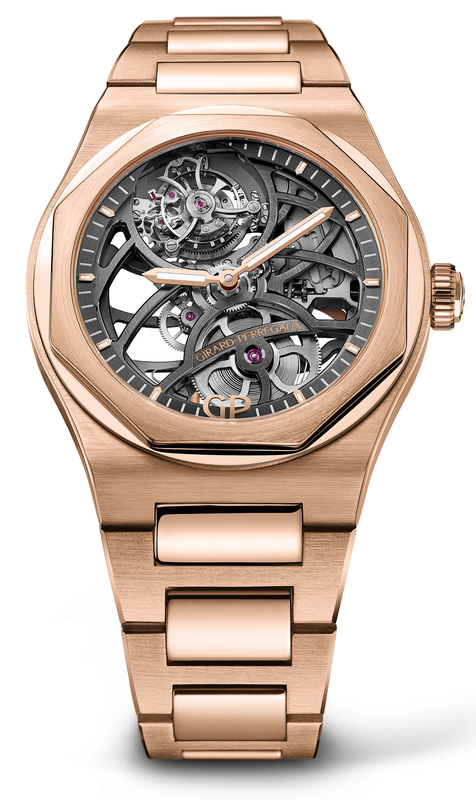 The case, in 18kt white or rose gold, measures 42mm x 10.7mm. It has an AR-coated sapphire crystal, a sapphire display back, and it is water resistant to 30 meters. 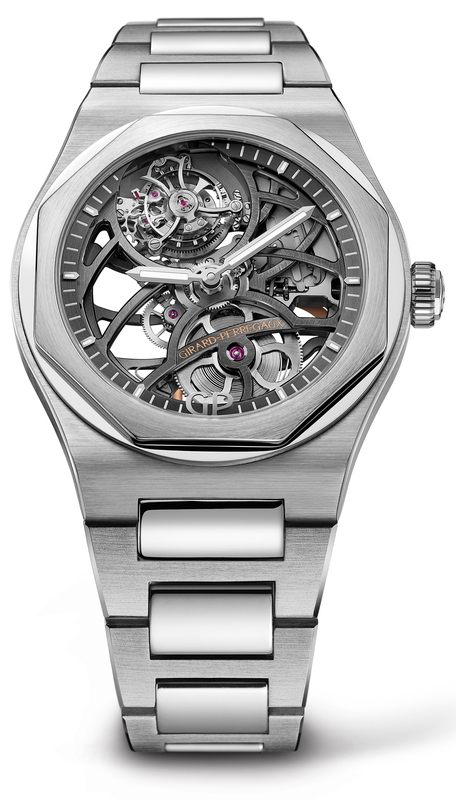 Movement is the Swiss automatic Girard-Perregaux in-house caliber: GP 09520-0001 with 28 jewels, 21,600 vph and a power reserve of 50 hours. It features black PVD treatment and beveled edges. The mainplate, bridges and the rotor have been openworked. 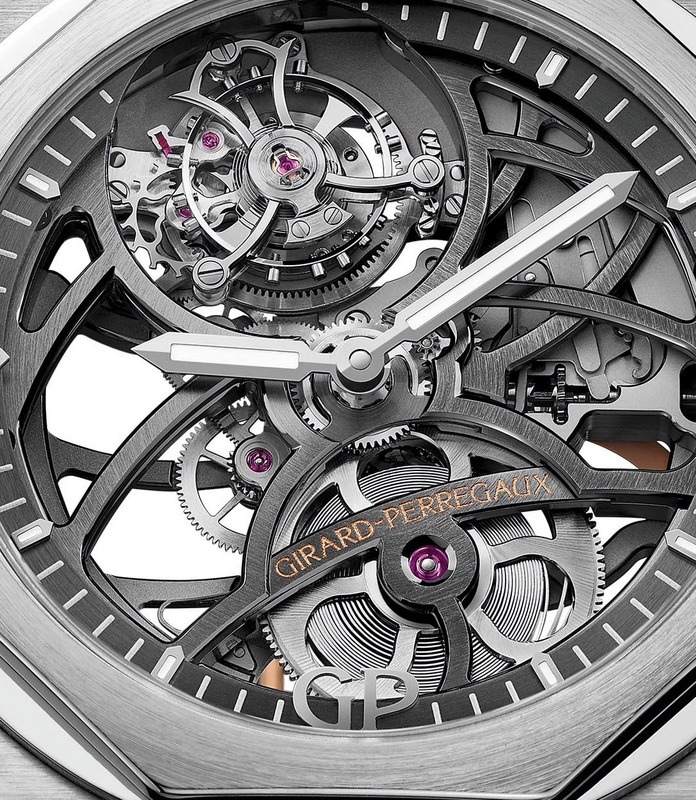 Functions are: flying tourbillon, hours, and minutes. 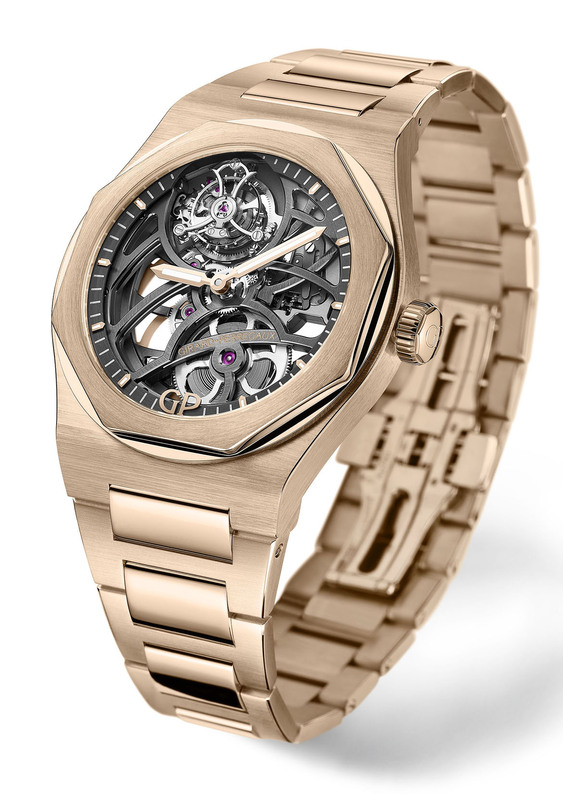 The dial is a ring displaying suspended gold indeces with luminescent material. Baton-type hands ith luminescent material. It comes on an 18kt white or rose gold bracelet.